House Ivellen, one of the Major Clans of the Kingdom of Vornair, governs the county of Cilwynne. The ancestral seat of the house and region capital of Cilwynne is Thalon, a thriving city on the banks of the Thalos River. 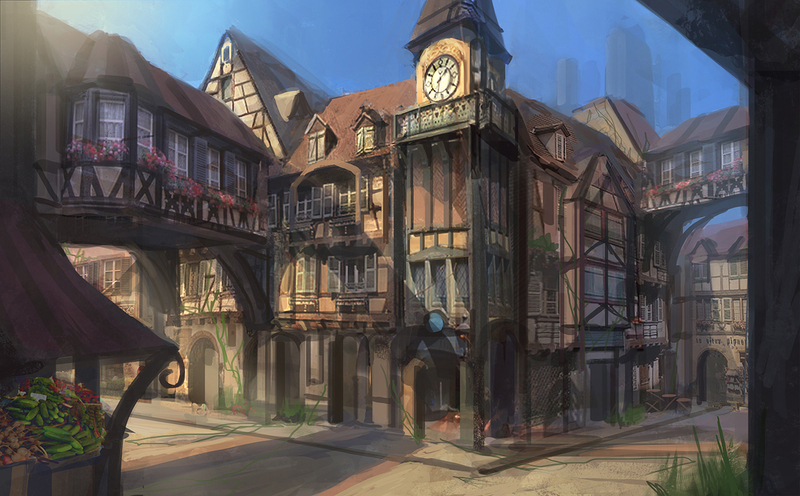 The city’s most significant establishments are the Bard’s College, the Oceanus branch of the Adventurer's Guild of Vornair, and an office of the Arenthian College of Military Technology. “Stand together or fall alone” – No matter how strong one is, in this world no one person can stand alone for long. To this end, regardless of petty dislikes or disagreements, House Ivellen seeks to foster friendships and alliances with their neighbors and likeminded groups for the benefit of all. This also applies to day to day affairs within the county itself. “Loyalty is everything” – A house built on a rotten foundation will fall as surely as by the torch, so too will we if we aren’t loyal to each other. Pledge your loyalty to us and we will pledge our loyalty to you; for anything less is doomed to fail. “Work for justice” – The law is a collection of rules at its best made to facilitate cooperation between people, and to that end we strive to uphold it. Those who break it, especially to a heinous degree such as robbery and murder, will be punished severely. “Life is too short not to enjoy it” – As long as one follows the previous principles, citizens of Cilwynne are encouraged to pursue what they enjoy. Otherwise what is the point of life? Anybody willing to follow the guiding principles is welcome to become part of the county. Those following a professional military path especially have a place here, for Elyria is a dangerous place and we must remain vigilant or fall into darkness. Bards enrich our musical culture and bolster our defenders so whether for a brief stay or long term residence, bards have a respected place in Cilwynne. House Ivellen is willing to assist individuals or groups of competent stonemasons/architects set up shop within the province. Stone roads and buildings are a high priority for the county and will continue to be for years to come. There is a number of opening for scribes, treasurers, and craftsmen of all types which you will find more information about at the end of the Current Positions Open section. Low taxes – In an attempt to keep the economy strong and growing, taxes will be kept as low as possible without harming the government’s work at maintaining public institutions. Stability – Our strong military presence will be uphold peace and lawfulness in the province, allowing for commerce to continue mostly unabated. Investment in successful and promising upcoming local businesses – If you want to start a business within Cilwynne and you convince me with a little help you will become very successful, I am willing to help provide you the resources (buildings, resources) to make it happen. The same goes for already established businesses that want to expand. Early infrastructure – Building stone roads to major settlements within Cilwynne is a high priority, further strengthening the province’s commerce. Minimal interference – follow the guiding principles and government interference in your affairs will remain as low as possible. Barons and mayors will be given a large amount of autonomy in governing their respective areas as long as they follow the Ivellen principles and uphold the laws. While not required, maintaining a respective military/militia for defending their lands is highly advocated. House Ivellen itself will maintain a strong military force which will assist any baron or mayor that needs it, but a military of their own would ensure the Ivellen military is where it needs to be at any given moment. Clerk of Law - writes/updates the laws of county as well as any contracts the Thane requires. Oversees the local court system. Commander of Regional Troops - leads the county militia and Ivellen household troops. Feel free to send an application with a position you would like not on the list. For applications explain why you should be appointed said position, preferably listing relevant experience. Positions will be held and promotions given based on merit, so be ready to perform your duties to the best of your ability. Anyone who abuses their position will be punished harshly and probably be stripped of it. In regards to other positions not related to the government there may be potentially three organizations that will be looking for members, preferably local but not required. The Bard's College of Thalon will be looking for instructors and other faculty to be determined in time. 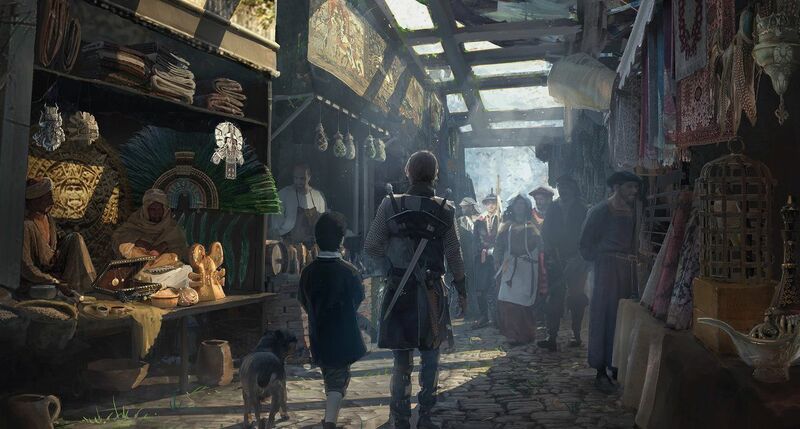 The Adventurer's Guild of Vornair will be headquartered in Thalon thus management staff such as treasurers, clerks, and scribes will be needed to keep job management running smoothly. Lastly I will be either forming or heavily assisting with an Oceanus branch of the Arenthian College of Military Technology because while it might take years to achieve, I want to fly in a steampunk airship. In the mean time it will be fun to develop new things and gives us an edge over any potential enemies. Anybody who shares my interest in reaching an age of steampunk or just a passion for tinkering/technology development, lets work together to bring in the age of steampunk! We will want people of all sorts of crafting inclinations for this purpose including smiths, carpenters, tinkers, alchemists, tailors, and more. Anybody interested in becoming a citizen of Cilwynne, applying for a government position, or just has questions can contact me either through the COE website (message AlaskanRebel). Another option is joining the Cilwynne Discord and messaging Thane Aemon Ivellen. Remember House Ivellen is part of the Kingdom of Vornair so read through its recruiting post first and decide if you are willing to be part of the kingdom as a whole. The information how to join can be found in that post and I look forward to working you when Elyria comes into being.